The Café wall sconce by Tech Lighting is ultimately simple and undeniably stylish. 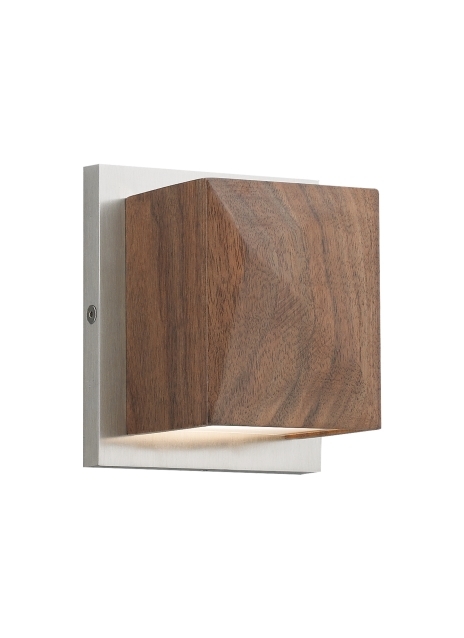 This LED wall sconce provides bi-directional illumination from its gently angled shade mounted to a slim metal back plate. Light illuminates from the top and bottom of the Café allowing for a surplus of light to spill on the surrounding surfaces. The Café sconce scales at 4.2“ in width and 5” in length making it an ideal solution for bathroom lighting, hallway lighting and bedroom lighting flanking two end tables. For even further design freedom the Cafe sconce can be mounted vertically or horizontally. Your choice of fully dimmable LED lamping ships with the Café saving you both time and money. Includes 12 watt, 255 delivered lumen, 3000K LED module. Dimmable with low-voltage electronic dimmer. May be mounted vertically or horizontallyADA compliant.